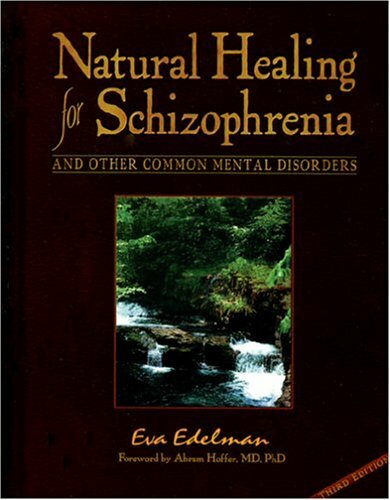 Natural Healing for Schizophrenia and Other Common Mental Disorders is a guide to natural approaches to mental and emotional health. It is organized in terms of schizophrenia but includes material on depression, bipolar, autism, and behavior disorders. The book brings together over a half century of medical and psychiatric research with a detailed exploration of nutrients, herbs and biotypes, and the role of allergies, toxins, hormones, physical condition, and brain biochemistry in mental health. Natural Healing for Schizophrenia and Other Common Mental Disorders serves to inform and support patients and families, as well as physicians and researchers. It is updated and revised every few years, as new medical knowledge becomes available. Includes a glossary, a comprehensive index, current resources, and extensive references. Eva Edelman, is a nutritionist, herbalist and health educator, with twenty-five years experience in these fields. 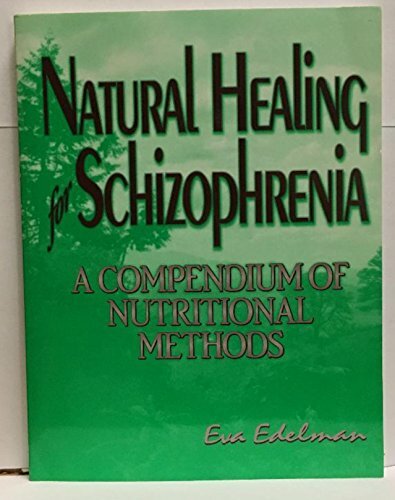 Edelman lectures and writes extensively on natural approaches to mental health, and appears on media nationwide. She has just completed a second volume, "Natural Healing for Bipolar Disorder." "The most useful volume on nutritional methods for mental illness in 20 years... A valuable resource for researchers, clinicans and families alike." -- William J. Walsh, Ph.D.
A magnificent and needed contribution ot the field of mental health... A superb work... A beacon of hope." -- Ralph Golan, M.D. "An invaluable resource... This book will enlighten us all in the medical profession, and will give great hope and comfort to patients. I recommend it most enthusiastically." -- Oscar Rogers Kruesi, M.D., F.A.C.P.